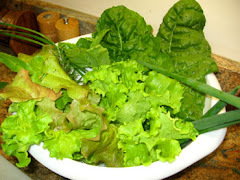 - A compost turning = happy gardening in 2013! - We All Live in a Watershed! 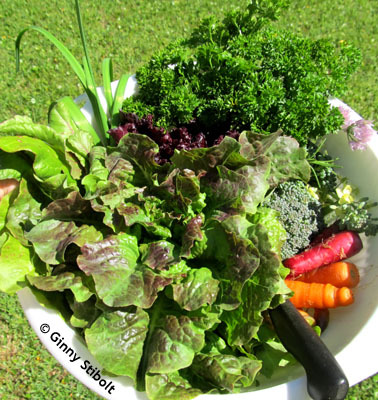 - Gardeners know when to "fold"
- What??! Native plants not pretty? 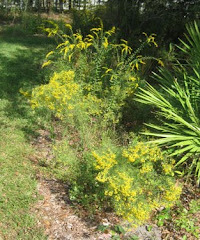 - The Florida Native Plant Society (FNPS) website www.fnps.org provides a wide range of resources including a tool to choose natives appropriate for your county with specific requirements such as shade, soil, and salinity. 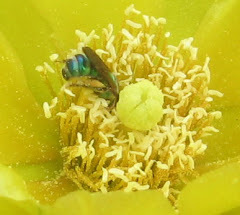 the FNPS site also includes a thorough description of Florida's native habitats, plus some frequently asked questions such as, "Why plant Natives?" 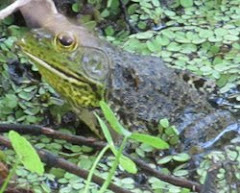 - The FNPS blog www.fnpsblog.org offers a wide variety of articles about native plants and their habitats. - The Florida Association Native Nurseries provides tools to find a plant or a nursery near you: http://plantrealflorida.org. 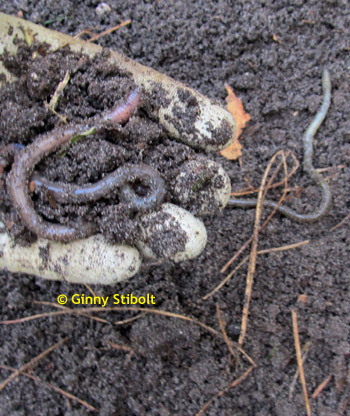 Good garden soil hosts lots of critters. - Give Peace (Lilies) a Chance! - A less than ideal potted tree? Even natives can have problems. - Signs of Spring in Northeastern Florida, Finally! - Soil: We need to stop treating it like DIRT! - A poison is a poison is a poison! 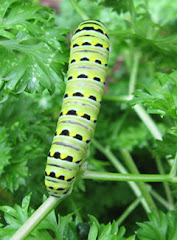 - What's been eating my bushy seedbox? - F. Fr... Frigid Florida, What's a gardener to do? 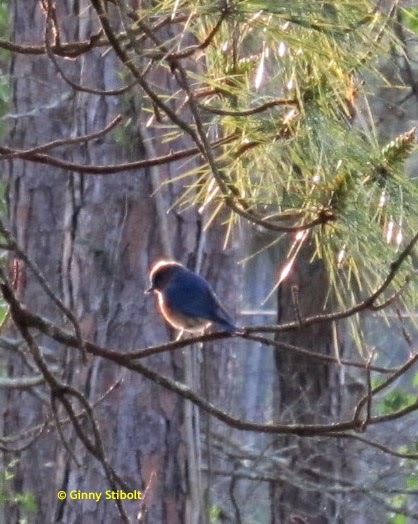 A bluebird in the early morning sun. - Can the birds count on you? 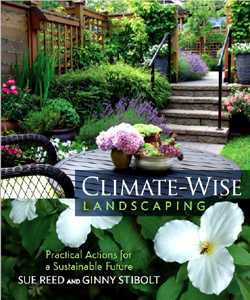 "Sustainable Gardening for Florida": It's my own book, so of course, I'm recommending it. But what makes it different is that I've included information about how to be a better gardener. You'll learn: how to plant a tree, the best way to use containers (surprise--don't use gravel in the bottom), why you need to build rain gardens & rain barrels, how to prepare for hurricanes, and much more. 50% of the royalties from this book are automatically donated to the Florida branch of The Nature Conservancy. 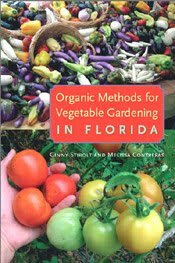 I wrote my second book, "Organic Methods for Vegetable Gardening in Florida" with cowriter Melissa Contreras who gardens in Miami. There are a couple of vegetable books for Florida growers, but they do not cover organic methods. We've arranged the crops by plant family to help gardeners with crop rotation scheduling and also we then only have to explain about legumes and their nitrogen-fixing bacterial or how to build a squash mound one time for the all the crops in those families. My third book, "The Art of Maintaining a Florida Native Landscape" answers the question, "So you want a native landscape; now what?" I've provided ideas and tools for planning, proven planting methods, and tips for easier ongoing maintenance. My advice helps ensure that you'll be a happy gardener, your plants will be happy, and so will your neighbors and maybe even your HOA. 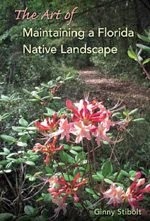 50% of the royalties for this book will be automatically donated to The Florida Native Plant Society. Purchase at Amazon. 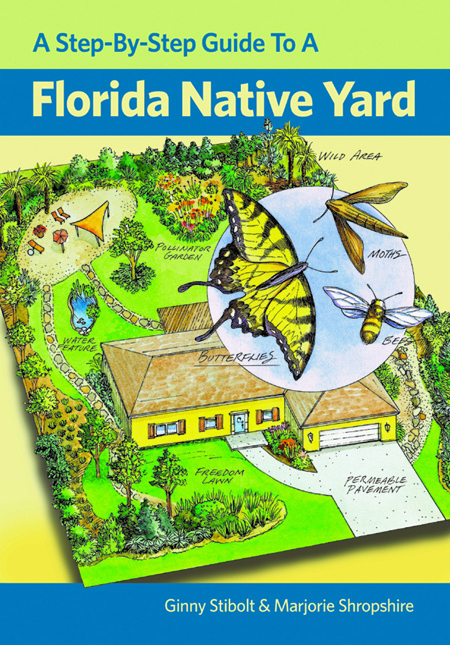 I wrote "A Step-by-Step Guide to a Florida Native Yard" with Marjorie Shropshire, who has been my illustrator for the previous 2 books. She's a coauthor here because her drawings are central to the book's main purpose, which is to help Floridians nativize their yards. 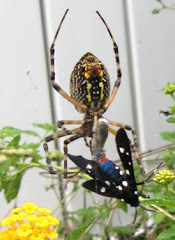 It answers the question, "I have a small yard filled with exotics; where do I start?" 20% of the royalties will go to The Florida Native Plant Society. Purchase at Amazon. 1) Help the landscape be more resilient in the face of climate change. 2) Help wildlife survive conditions caused by climate change. 3) Help mitigate climate change. For more information and to order the book, go to our website www.climatewiselandscaping.com. Craig Huegel, a Florida native nurseryman has written a trio of useful books for helping Florida gardeners choosing and being successful with their native plants. Gil Nelson has written a number of field guides, but these two are my favorites. Of course, trees and shrubs are the bones of your landscape, so it's good to find out what the heck you have. And I love ferns, because if you take out the turf from beneath the trees, ferns are often the best replacements. 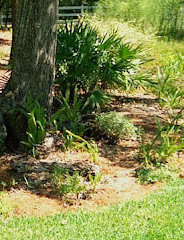 Purchase Trees of Florida and/or Ferns of Florida at Amazon. I own "Guide to the Vascular Plants of Florida" by Richard Wunderlin & Bruce Hansen. I'd recommend it only to the more serious botantists, because it assumes your understanding the botanical terms to use the keys. There are no illustrations, but it covers everything, which is really useful. 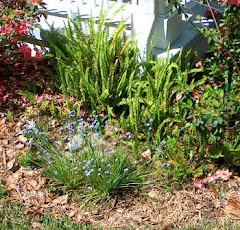 Doug Tallamy provided native plant enthusiasts with well-researched and easy-to-understand arguments for using more native plants in your yard, no matter how small. See my post Doug Tallamy! Marjorie Stoneman Douglas was way ahead of her time with this wonderful book. I'd highly recommend "The Everglades: River of Grass" to any Florida citizen.